The decision to sell your property or make a real estate purchase is an important one. In order to best protect your interests, and insure a smooth transaction, it is best to choose an experienced real estate professional with whom you enjoy working and who enjoys working with you. What's the difference between a REALTOR® and someone who is just a real estate licensee? Not all real estate agents and brokers are REALTORS®. A REALTOR® is a licensed real estate agent, real estate manager or real estate company owner who is a member of the National Association of REALTORS®, abides by the REALTOR® code of ethics and conducts his/her real estate business with standards of customer care and business dealings that far exceed the legal requirements to simpy have a license. In many parts of the United States, the local Multiple Listing Service, or MLS, is owned by the local association of REALTORS®. So, in order to be active in the real estate business in those areas an agent must belong to the local association of REALTORS® there. In the Puget Sound Region and much of Washington State, the MLS services are NOT owned by any association of REALTORS®. In our area, an agent and real estate firm can simply have a real estate license, join the MLS and do business, while evading the superior ethics, standards of conduct, educational opportunities and requirements of being a REALTOR® and avoid paying REALTOR® dues. Define your wants and needs and help you get to where you want to be. Help you choose the right home, using all possible resources, including ones that are not accessible to the general public. Many homes are never advertised and information you find on the Internet and on chain real estate company websites can be very misleading. Narrow down the list of potential properties with objective analysis and by pointing out important details that might not occur to you on your own. Michael Cornell has stopped many of his clients from purchasing homes they instantly loved so much that they were overlooking significant problems. Negotiate the best possible terms for you and your unique situation. Price your home correctly for today's market. It is very difficult for most people to value their own homes objectively. Make your home shine in comparison to others on the market. Buyers have many choices and a good, experienced real estate marketing professional can help make sure Buyers choose YOUR home. Connect you with the best home loan professionals in the business who can arrange the best loan terms for your specific needs. Beware of real estate agents who refer you to their husbands, wives, brothers, sisters, fathers, best friends, etc., for your home loan. Can you really expect objectivity in these situations? Arrange for a thorough inspection of your new home by a qualified and experienced home inspector. Of course, you can use any inspector you like and the choice of home inspector is alway yours. 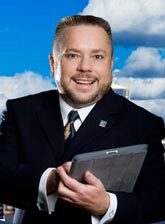 Michael Cornell's policy is to provide you with at least three professional home inspectors with which he and his clients have had good experiences, and let you choose one of them or none of them. It's up to you. Beware of real estate agents who refer you to their husbands, wives, brothers, sisters, fathers, best friends, etc., for your home inspection. Can you really expect objectivity from them? Prepare your purchase and sale agreement in a manner that best protects your interests, and in keeping with your specific needs. Today's real estate documents are lengthy and complex. Only an experienced, full time real estate professional has the expertise, and is able to keep up with the constantly changing market, current laws and business practices to be able to smooth out the rough edges of your transaction. The average home purchase offer in Seattle now starts at 22 pages of legal documents. Be sure you have the help of a full time, experienced real estate professional here, because these forms and the laws and practices that govern them change constantly. Relying on someone who has only been in the real estate business for a few months is just unwise. Expecting a part time agent (especially if that agent is holding down another job) to keep up with the constant legal and contractual changes inherent in real estate, is simply unrealistic. Prepare and negotiate a fair counter-offer, when appropriate. Coordinate the work of inspectors, appraisers, loan officers, loan processors, attorneys, escrow officers and other professionals related to your purchase. Guide you through the settlement process, also known as "escrow" or "closing". Per haps the most important aspect of the process of buying or selling a home or investment property is dealing with the anxiety and smoothing emotional rough edges that come with the territory. Michael Cornell has been doing this for his clients for over twenty years. Once you choose your agent, it is in your best interest to work only with that specific agent. Good agents are not able to spend their time, energy or resources working with Buyers who are not loyal to them. Don't be afraid to sign a Buyer's agreement. This tells the agent that you are serious and worth his/her time and attention and will likely give you a higher level of commitment and service from your real estate professional. When selling your home or investment real estate, you will need to sign a listing agreement, or EXCLUSIVE RIGHT TO SELL with your agent. This means the agent will be required to perform due diligence and look our for your best interest and work to secure the best possible terms for you. This also means your agent will be paid for his/her services. Avoid real estate schemes that ask you to pay a listing fee in advance. Some companies have hatched "limited service" plans over the last few years where you pay them in advance just to enter your property in the multiple listing service. This is usually perfectly legal, buy they have no interest or motivation to deliver any results because they have already been paid hundreds of dollars in advance. In some cases, it might be appropriate for you to pay for staging services or a professional real estate photographer up front, but never pay a real estate professional just to take your listing. Good, reputable real estate professionals you hire to market and sell your home, negotiate the sales terms and agreement with your Buyer, insure all legal documents are properly prepared and disclosures are made so you don't get sued, and coordinate closing, will be paid when the sale is final and you are also paid your proceeds. a CLIENT and not just a CUSTOMER.